We are sad to announce that Director of Coaching Kelvin Jones will be leaving this August. We understand this news is very sudden and a shock to many but Kelvin was presented an unbelievable opportunity recently that was too good to pass up. 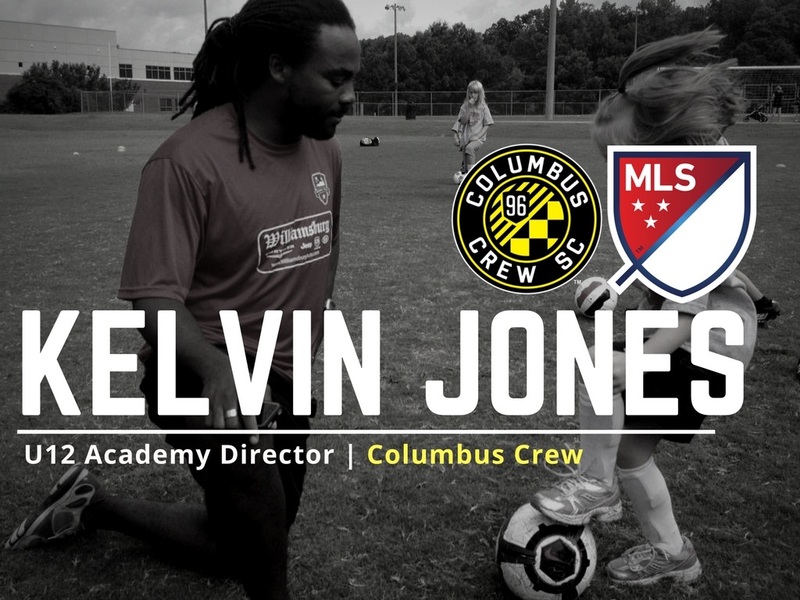 Kelvin will be leaving Virginia Legacy to accept a new position with the Columbus Crew of Major League Soccer (MLS). Kelvin will be the U12 Academy Director/Head Coach and work directly with the other Academy coaches all the way up to the professional team who is run by former US National Team member Gregg Berhalter. Legacy will be forever grateful for his effort as Kelvin is responsible for establishing the Legacy as one of the top youth clubs in the area and region. Kelvin has helped teams reach VYSA Final Four, participate in top events and tournaments around the nation and recently was named Va Youth Soccer Girls Coach of the Year. During his time with Legacy he became an USSF ‘A’ Licensed Coach and implemented coaching curriculums and coaching education series of all the staff coaches at the club. The Virginia Legacy will be announcing in the coming days some exciting new changes for the club with regards to staff and responsibilities. Coach Jones will begin his duties with the Columbus Crew – August 7th, 2017. “We are extremely grateful for what Kelvin Jones has brought to this organization over the past 6 years. He has help grow the travel program in numbers but more importantly in quality. His commitment to all aspects of the club were truly appreciated and he will be missed not only by the staff but by many of the parents and certainly all the kids he has been able to work with. We are ecstatic about his new professional opportunity and happy to have played a role in his development to achieve such an opportunity.” – Bobby O’Brien: Technical Director. Coach Jones had this to say - “This was one of the hardest decisions I have ever had to make. Without the dedication of the staff to get better I could not have reached this goal. This, combined with the trust the families have put in me to help make their children better, make it so this experience can never be replaced! Through good times and bad this club and community have helped mold me into the coach and person I am today. I thank each and everyone that has helped me along the way. I am looking forward to a new challenge but this place will always hold a special place in my heart! Again the Virginia Legacy wishes Kelvin the best of luck in his new ventures and stay tuned this week for new updates!